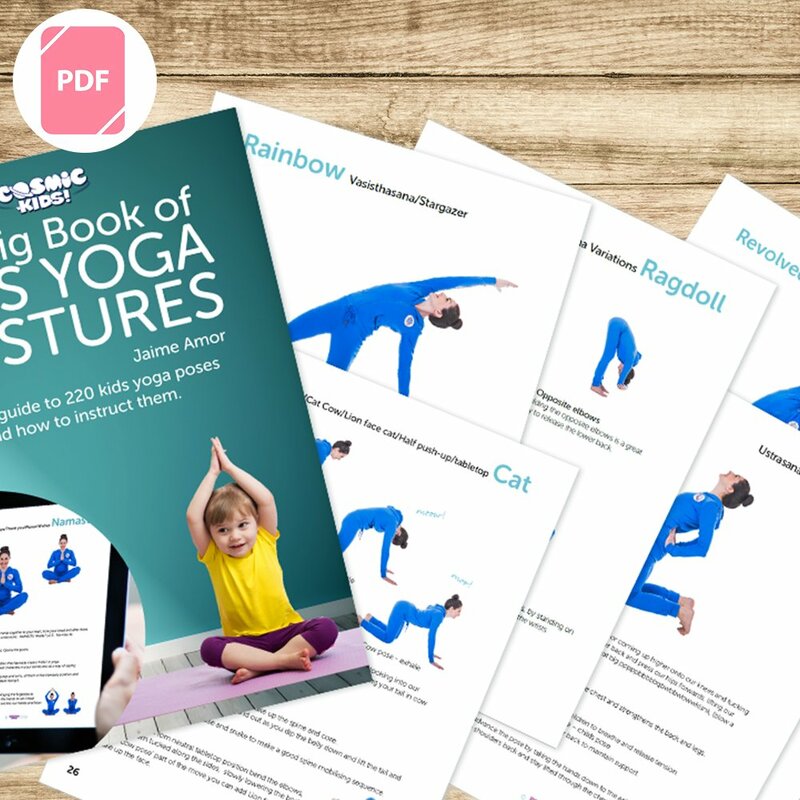 The definitive visual guide to kids yoga poses and how to instruct them. Written by Jaime from Cosmic Kids. A 253 page hi-res PDF download. 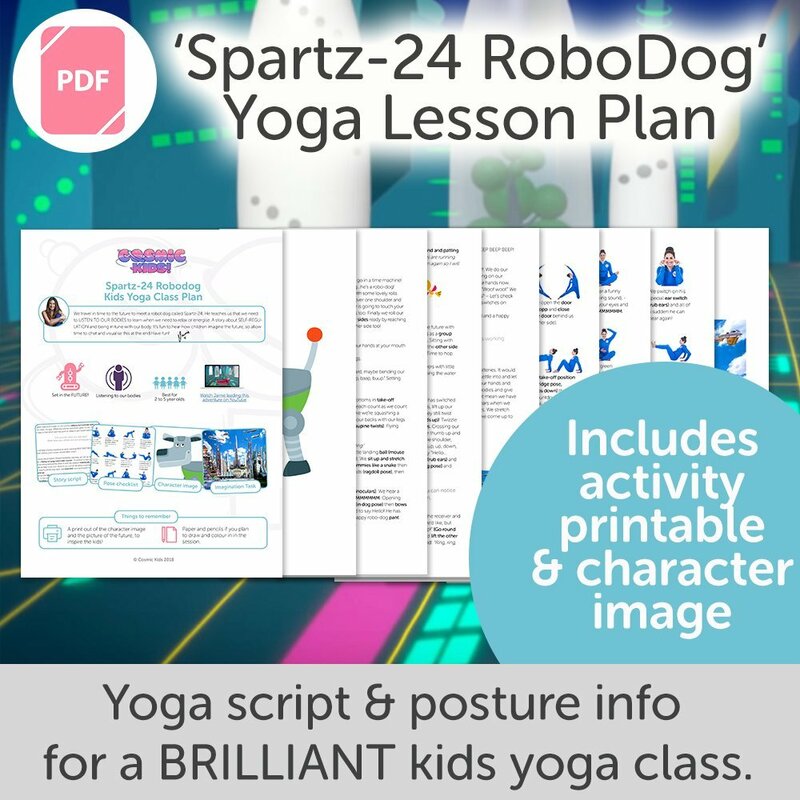 This is the best resource to check poses in the Cosmic Kids class plans and to create your own yoga adventure sequences. 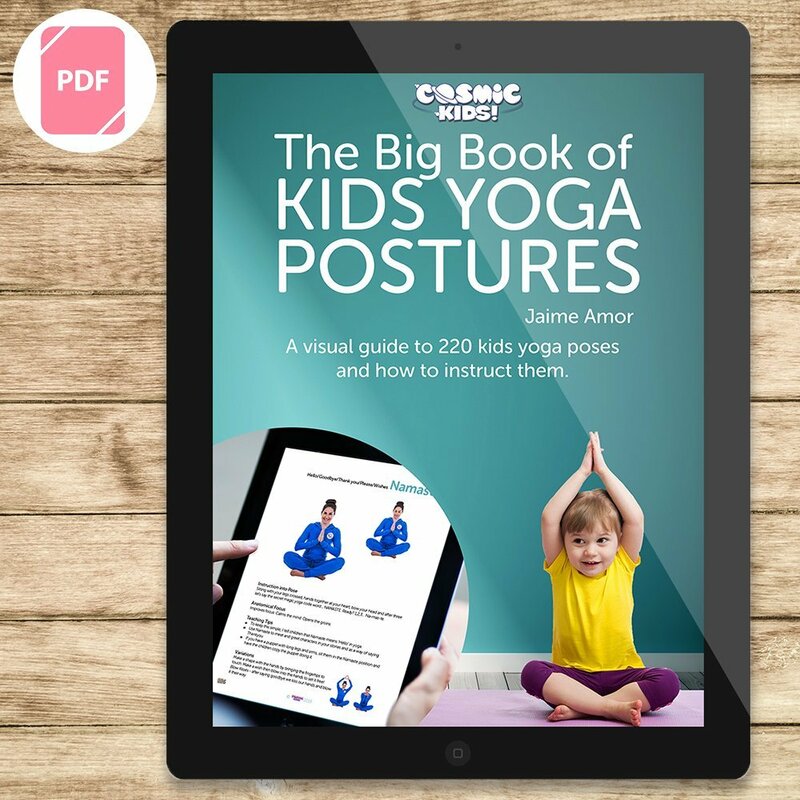 Written by Jaime from Cosmic Kids, this is the definitive visual guide to kids yoga poses. A 253 page hi-res PDF download. 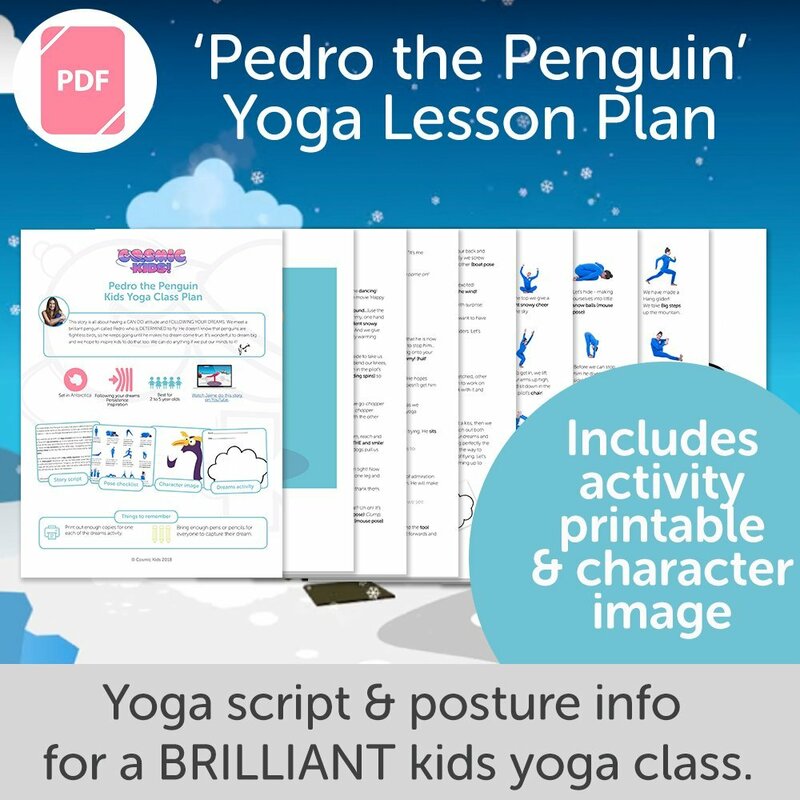 For kids yoga teachers, school teachers, parents, home educators, camp organisers, child care professionals, nannies, occupational therapists, storytellers, entertainers and kids themselves! 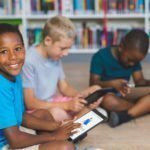 This is a PDF ebook so it works brilliantly on a tablet, and can be printed. 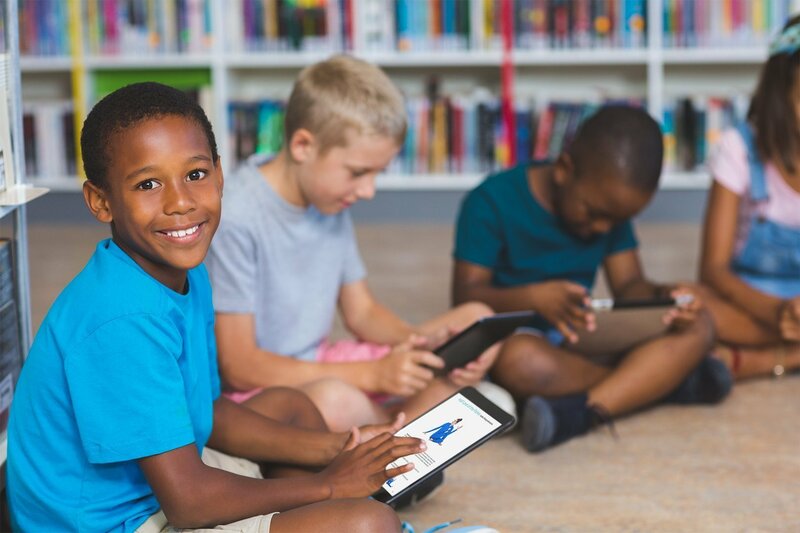 Use iBooks on iPad/iPhone to view. 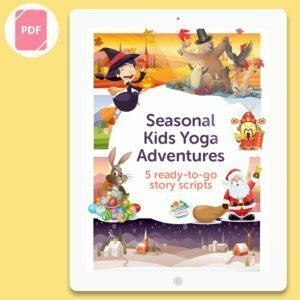 These kids yoga poses are the foundation of all kids yoga – knowing them enables you to build sequences, create yoga stories and adapt favourite books and movies into yoga adventures. 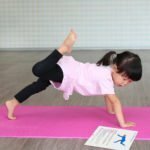 A goldmine of information on kids yoga, written by Jaime from Cosmic Kids.